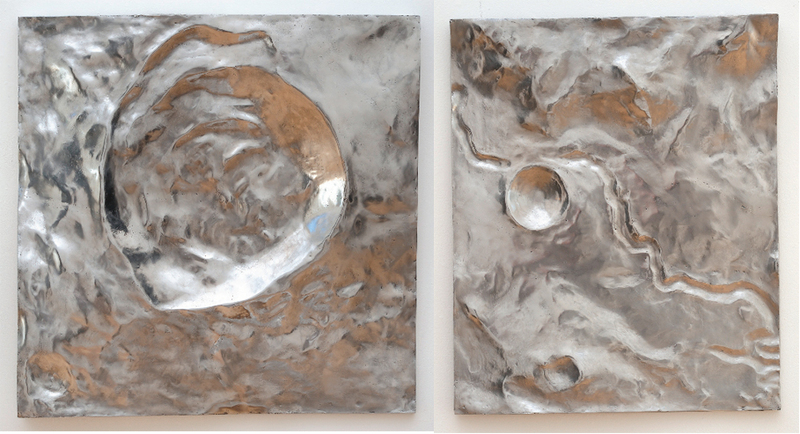 Ongoing to May 4th– Christopher Badger Lunar Mirror at Jessica Silverman Gallery, 804 Sutter Street: This exhibition features a series of sculptures made of polished cast aluminum called ”Lunar Mirrors,” as well as chalk-and-oil paintings. Using the moon as his touchstone, this body of work advances Badger’s interest in objective maps with subjective associations as well as the ambiguous relationship between reflections and projections. 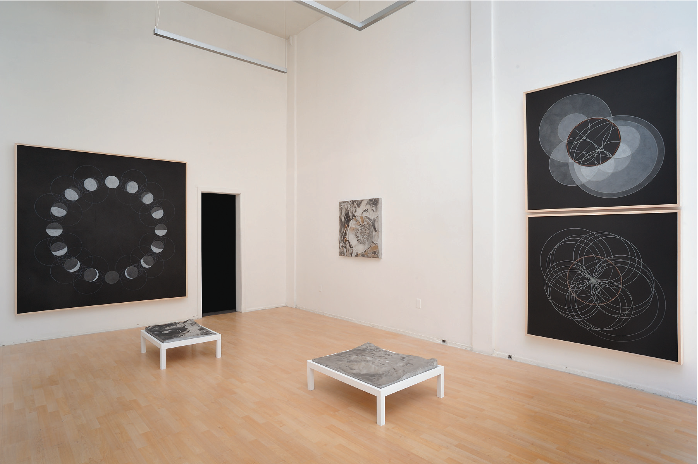 In making the “Lunar Mirror” reliefs, Badger starts with aerial photographs of the moon produced by the Apollo 15 crew in 1974. He traces the topographical lines of the photos, makes a vector map, and uses a 3-D modeling program to create digital files from which the works are cast. The resulting aluminum sculptures are then polished to a fine mirror finish so that the viewer can see his/her own reflection, rippled and distorted, in its surface. 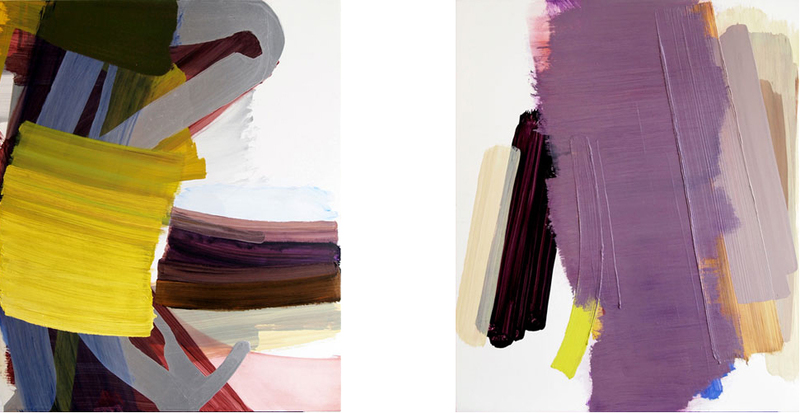 Ongoing to May 11th – John Millei Recent Paintings at George Lawson Gallery, 780 Sutter Street: George Lawson gallery has returned to San Francisco, right near Jessica Silverman Gallery, and is featuring the Los Angeles painter John Millei in his current exhibition. The paintings in this show were painted for the intimacy of the San Francisco gallery space (George Lawson also has an LA gallery). They were conceived as a progression, and in some sense perhaps as a kind of private correspondence. They are wonderfully realized abstract works that encapsulate all the movement and color that the medium of paint has to offer. 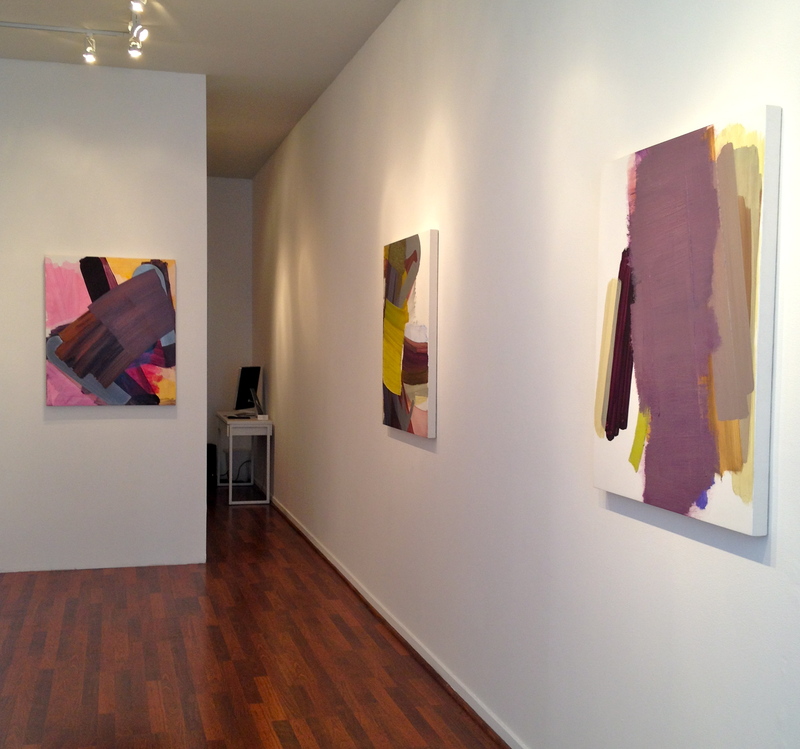 The opening reception is Saturday March 30 from 5 – 8 pm. 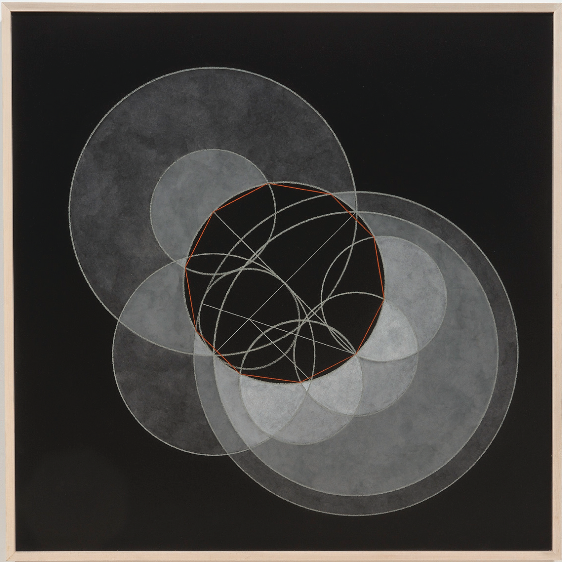 Saturday, April 27th – Kala-fornia: State of the Art 3 Exhibition and Art Auction, 6:30 – 10 pm, 2990 San Pablo Avenue, Berkeley: The Kala Art Institute features a two week exhibition of works by prominent California artists. The exhibition is up from April 11th and culminates on the night of Saturday, April 27th with a lively Gala Auction. Along with original artworks there will be unique art-related items and experiences offered through both live and silent auctions. Advance tickets for $45 are available by clicking here. images from last year’s Kala-fornia: State of the Art 2 exhibition and auction. Sunday, April 28th – Headlands Center for the Arts Spring Open House, 12 – 5pm, Fort Barry, Marin Headlands: Three Sundays a year, the Headlands Center for the Arts invites you to roam the various buildings of their campus, engage with artists in their studios, experience new work and works in progress, and stay for a homemade lunch in the Mess Hall. The Spring Open House connects visitors to the working process of artists and fosters casual conversations about the creative process. The Spring Open House features curated happenings and events scheduled throughout the day, including readings, performances, screenings, and guided walks. Click here for directions. 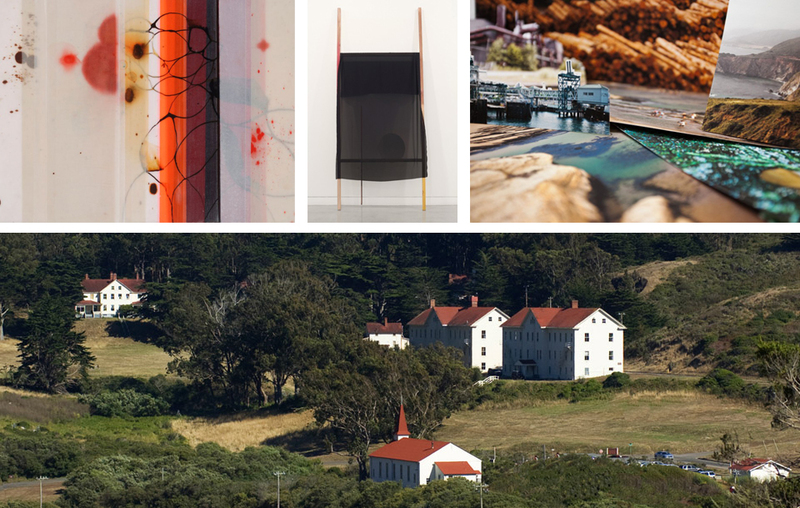 (top row) Cynthia Ona Innis, Liam Everett and Joshua Band are only a few of the visual artists participating in the Headland’s Open House (bottom image) located at Fort Barry in the Marin Headlands.